We're experiencing "haru ichiban" today - the super strong, cold wind that whips through before spring. With a dry throat, I went in search of throat lozenges at the local drug store and found these lovely, retro fruit drops. 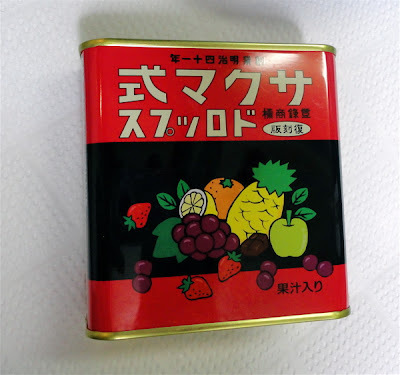 If you've seen the very beautiful, very sad Ghibli movie "Grave of the Fireflies", set during WWII, you'll recognise the tin: these are the hard fruit candies that the little girl Setsuko loves. Later, the tin plays a very significant part in the movie. I highly recommend the film, but you'll need a lot of tissues! 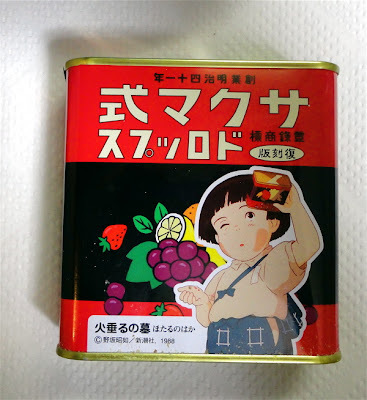 The company, Sakuma Seika, sometimes releases commemorative tins like this one. They've been making Sakuma Drops in Ikebukuro since 1908 so I think at just ¥100, it's an excellent souvenir of Tokyo! 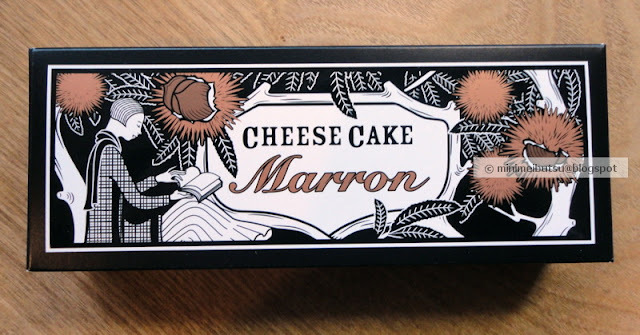 The company's website (here) has some nice images of the history of the packaging design. 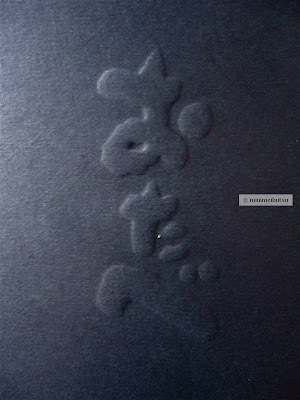 The product itself has remained pretty much the same and it seems to be the only product Sakuma Seika makes. They're not so popular these days - with so many chocolate options and crazy flavours - but the sound of the candies rattling around in the tin must be very nostalgic for many people. I hope they continue to make them. The graphics have changed a little over the years, but they still come in a tin. Anyway, we had a wonderful few weeks of sunshine and good food, and I did a lot of baking - something I can't do at home, as we have no oven. 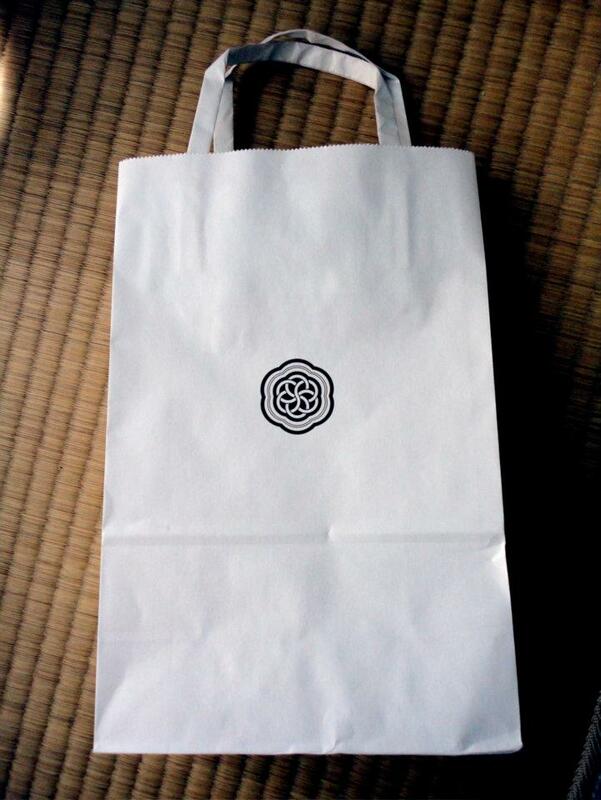 But at the end of the trip, the issue of omiyage came up. We usually spend our last day in Sydney running around the city, looking for the obligatory omiyage for family and co-workers. Tim Tams are out, as you can easily buy them here at places like Plaza, Seijo Ishii and Kaldi. Vegemite is out as people think your playing a cruel trick on them (I buy it just for me. I have found it at Kinokuniya supermarket too, in case I run out). We usually end up getting the usual chocolate-covered macadamias in nice boxes with koala pictures. The only problem is convincing people that macadamias are indeed native to Australia. Hawaii has done such a good job of marketing them as their own. A few years ago, we found delicious chocolates flavoured with native lemon myrtle, but they seem to have disappeared. 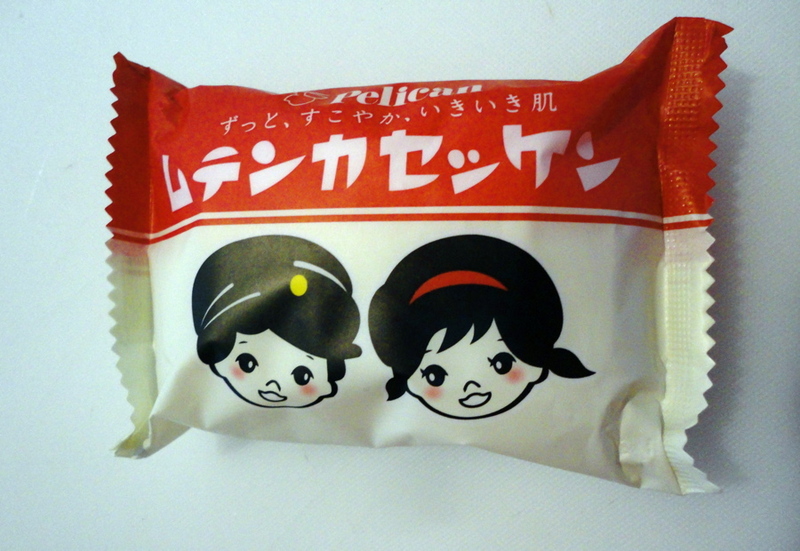 That leaves us with the cheap lollies of my childhood, which would be called "dagashi" in Japan. 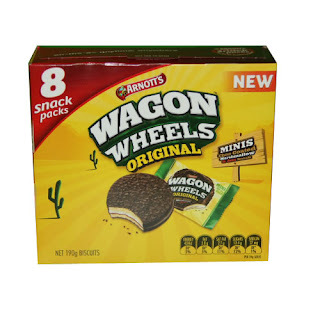 And so, we stock up on Wagon Wheels, Fry's Turkish Delight, Golden Roughs, Peppermint Patties, Pineapple Lumps, Cherry Ripes and Caramello Koalas. Some of these sweets actually come from New Zealand. Shhh! We often claim Kiwi products as our own. They can have Russell Crowe back, though. But none of these sweets are "nice" enough to give as special gifts. I went to Haigh's Chocolates, in hopes of finding something "Australian" and beautifully packaged. I was a bit disappointed. They've become so expensive recently, and their packaging has gone very fashionable, but it doesn't reflect its heritage. For a company that started in 1915 in Adelaide, I would have hoped for some slightly Victorian Australiana, or at least some native animal shapes - didn't they once make chocolate bilbys? You can get the frogs, but they don't really register with Japanese friends as an Australian icon. 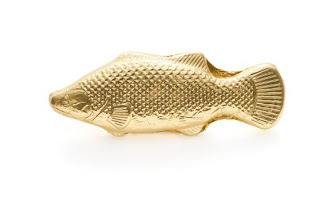 Actually, looking at their website, they apparently have bilbys and murray cod, but when we went to their store in Sydney's QVB, we didn't find anything beyond very 'corporate' striped packaging. 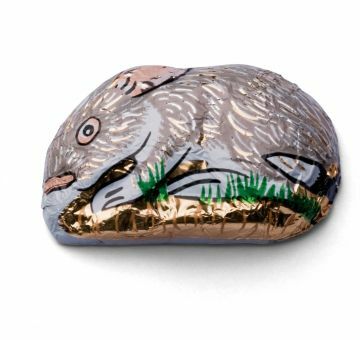 A Bilby from Haigh's - which we couldn't find in the store. I was actually keen to take tinned beetroot back, but after hubby tried it on a burger and then gave it all to me, I nixed that idea. 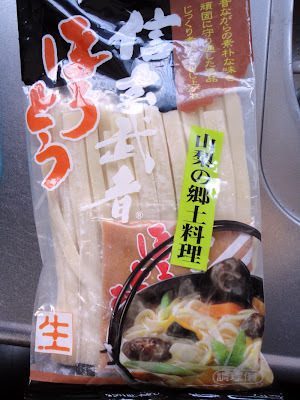 I would have thought, given its similarity in taste to kabu and daikon, and the sweet, slightly pickled flavour, that it would be a good choice for Japanese friends, but apparently not. Meat pies would be a bit hard to transport... We tried kangaroo jerky once, but it didn't taste very good. 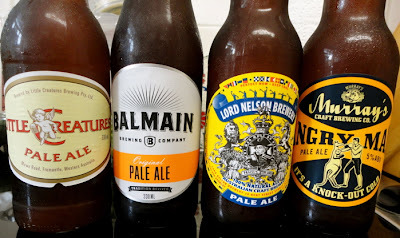 I guess the 'problem' in a way, is that Australia has such a diverse culture, that when Japanese friends, who come from such a mono culture ask about "famous Australian food", after 'fish and chips' and 'meat pies', I'm kind of stumped. I always want to go to my favourite Vietnamese restaurant in Sydney, do yum cha with friends on a Sunday morning, or go out for a great pizza. I love that we have such a diverse food heritage, but it's impossible reduce it to a neat answer. 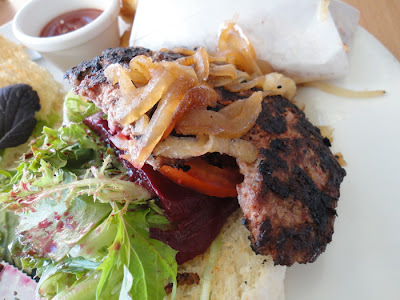 Sorry for the half-eaten hamburger, but you can see the beetroot that makes it a proper Aussie burger. Not needing yet another stuffed koala and not wanting any faux 'Aboriginal' dot-painted ashtrays, we went to a Japanese Australian souvenir shop, where they had the kinds of omiyage that would be well-received: home-made macadamia cookies, local jams with indigenous fruits, King Island products, tea tree soaps, tote bags and hand towels with Ken Done designs, etc. The foods were packaged individually - something I always thought wasteful, but I can see that it makes handing them out at work much easier. The products were all made in Australia (even the plush animals), mostly by smaller companies with some kind of interesting back-story or unique product. I'm not saying these products were any better than what we could find elsewhere, but they understood what their customers wanted. 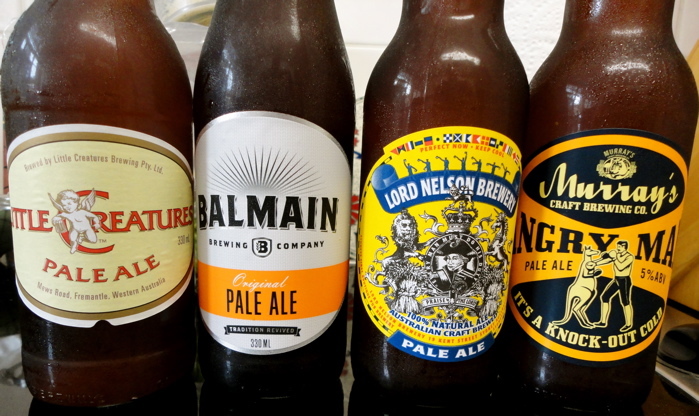 We did try a lot of local beers, but they were too heavy to carry back, so we had to drink them! So I'm interested to know, if you're not from Japan, what are the omiyage of your home town? I'm heading back to Australia today for a little Christmas sunshine! But first, I bring you a very Japanese (and in fact Chinese) sweet, the manjyu. My husband buys these for his friends and clients, but he also brought a box home, as he loves them. They're about 800 yen for a box of 9. 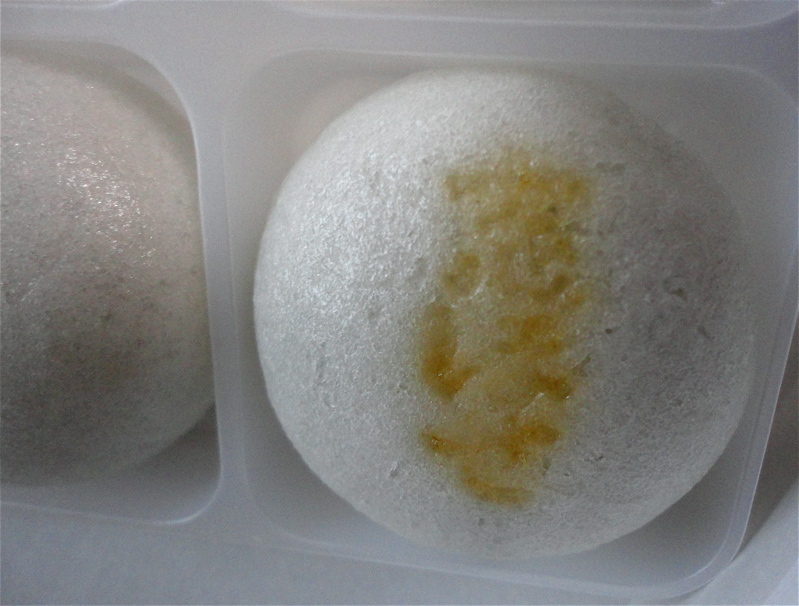 It's a small, steamed bun, slightly chewy, thanks to the addition of grated yam paste in the dough. 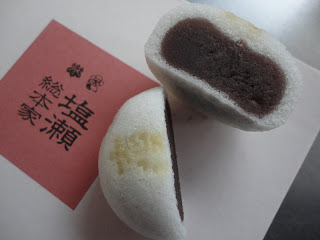 Inside is densely packed red bean paste. Not my favourite, I confess. These are from Shiose, which is apparently the first place in Japan to make manjyu after they were brought over from China in 1349. Apparently, they were first eaten in Nara, where they became popular with the monks, who couldn't eat meat. The thick bean paste and chewy texture must have been very satisfying. 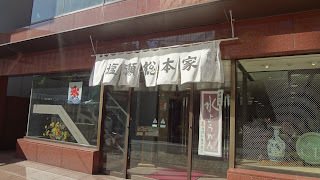 The main store is at 7-14 Akashichou, not far from Tsukiji fish markets. Obviously, the original shop from the 1350s didn't survive earthquakes and wars. If you like bean paste, you should try them! But if not, well, never mind. Akashichou is a nice place for a stroll - in fact Chuo-ku has a lot of interesting and historical places, and likes to claim a lot of 'firsts' in Japan - birthplace of tonkatsu, oyakodon and uni sushi. There's an interesting guide and map that you can download here. 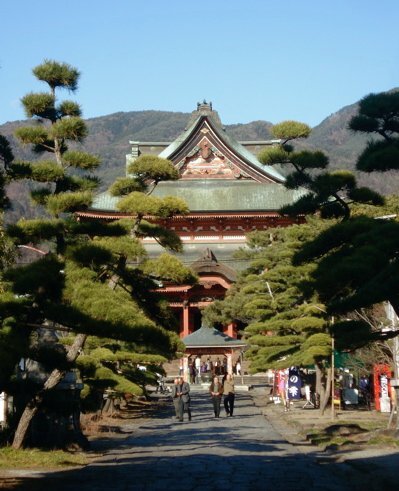 Autumn and winter are the perfect seasons to visit Yamanashi prefecture, just over an hour from Shinjuku station. Its famous vineyards aren’t so pretty at the moment, but thanks to the clear, cold air, you can see Mt Fuji, looming majestically, almost every time you look up. 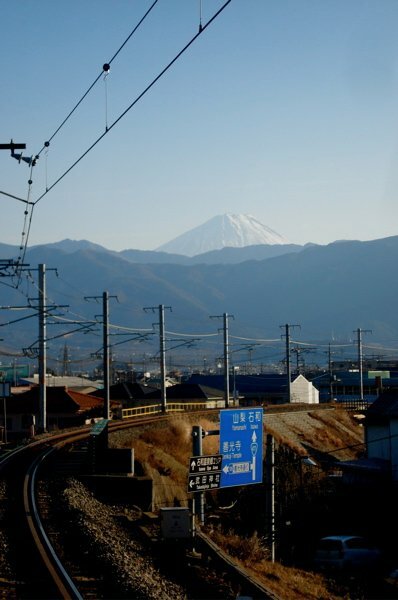 Mt Fuji pops up when you least expect it. Zenkouji near Kofu city is very beautiful and peaceful. 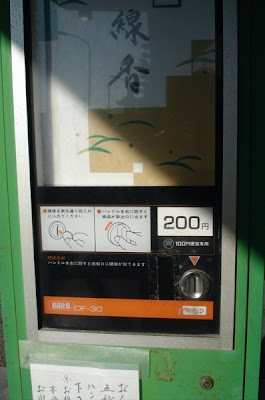 There's a vending machine for everything - even incense. Yamanashi is very active in promoting its fruits and wines. I have to confess, I tried some Yamanashi wine and wasn’t impressed. 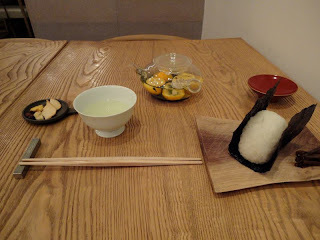 Perhaps there are some progressive vineyards doing great things, but at the ryokan we stayed at, I was given something that tasted like the overly sweet whites that gave German Riesling a bad name in the 80’s – but with a slightly vinegary aftertaste. Blech. Like I said, there might be some excellent wines there, but I haven’t found them yet! My SIL has been to Yamanashi a few times, and often brings back delicious fruit liquors and juices. In fact, the grape JUICE is excellent. But wait! 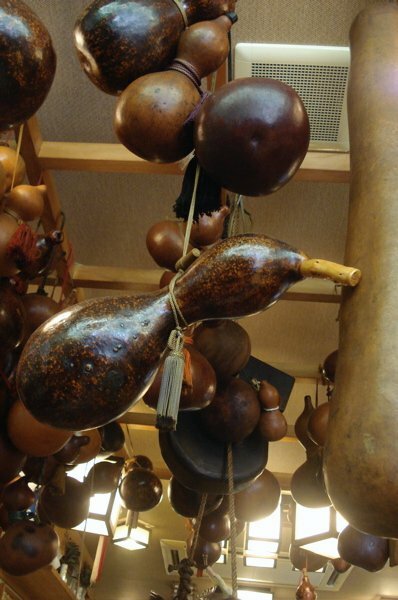 There is something else in Yamanashi, which is absolutely delicious and just perfect for this cold weather: houtou. Houtou in a cast iron bowl to add to its "hearty" appeal. The restaurant was a bit gourdy. Essentially a chunky miso soup, houtou is distinguished by its thick, flat noodles (they’re a bit like thick tagliatelle); and pumpkin. As long as you have those ingredients and the local miso paste, you can pretty much put anything you like in there. 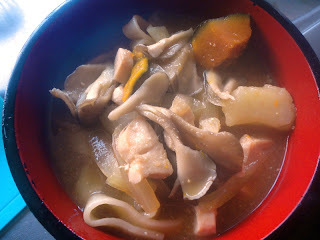 Common ingredients include pork, shiitake mushrooms, potato and sansai (mountain vegetables, like fiddlehead fern, butterbur etc). 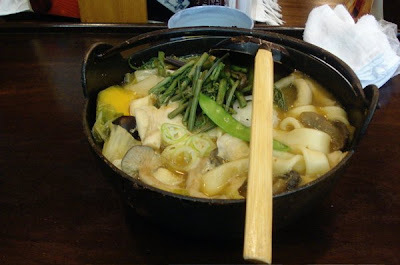 Kofu city has a heap of Houtou restaurants – just walk 10 minutes from the station in any direction. We just picked the most ‘rustic’ looking one, which was decked out with gourds. 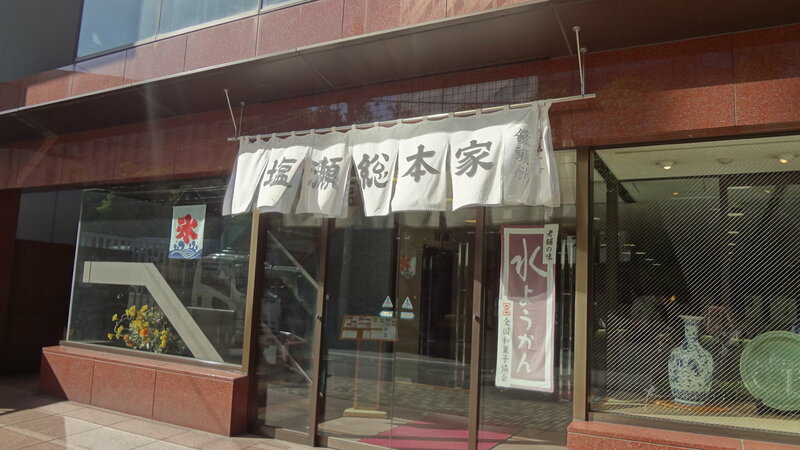 The legend is that local hero Takeda Shingen, invented the dish. 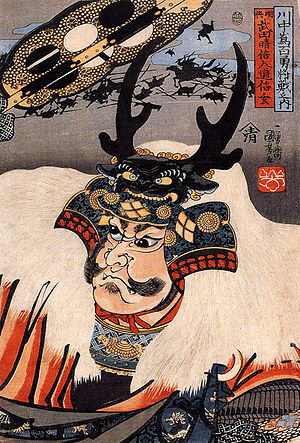 Apart from being a fearsome samurai, he was apparently an enthusiastic promoter of local products. Mr Takeda, houtou PR manager. 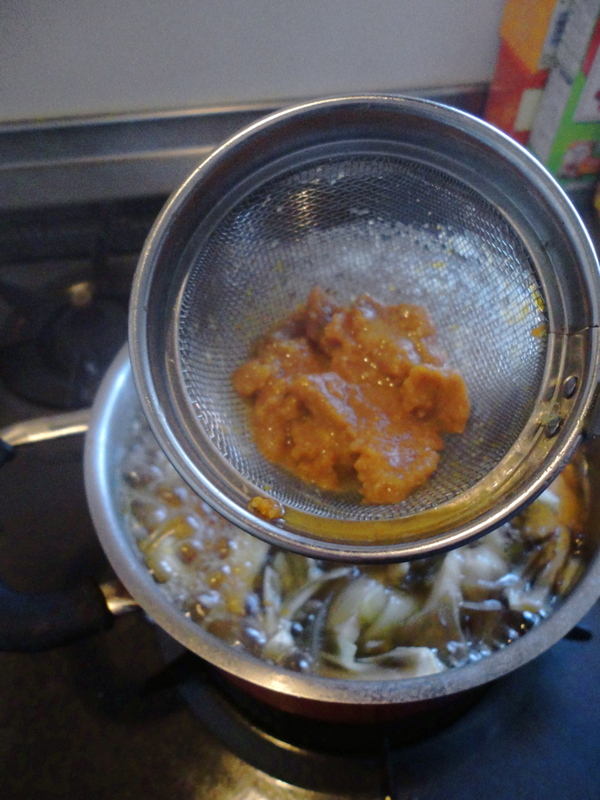 Add the miso right at the end - dissolve it gradually into the soup. Where did the month go? Suddenly it's almost Halloween, which seems to be getting more popular in Japan, every year. 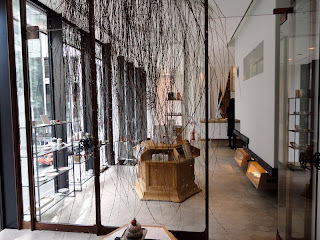 I've been thinking about a Kyoto post for a while - but Kyoto is overwhelming. I mean, there are so many fabulous specialties and there's a photo op around every corner. I will get to it soon! But in the meantime, I thought this Kyoto specialty was perfect for Halloween. 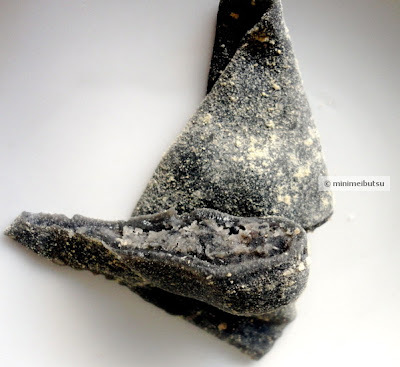 Kurogoma Yatsuhashi, or black sesame yatsuhashi is a kind of fashionable twist on the traditional Kyoto sweet. Like a lot of Japanese sweets, yatsuhashi is made with mochi rice flour. This type is "nama" or raw/ fresh yatsuhashi. You can also get a crunchy, cookie type versions. The name means eight bridges and from what I can work out, it's based on the traditional eight plank bridges that lead viewers slowly through an iris garden. 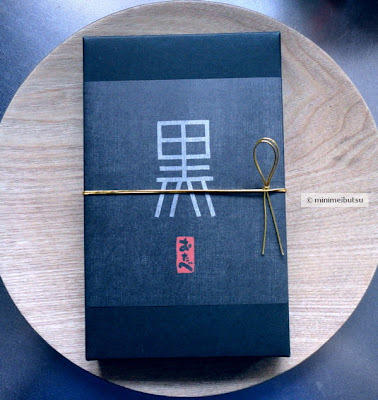 Baked yatsuhashi look just like little planks and perhaps herringbone pattern of the bridges also inspired the distinctive triangular sweets. Irises at Yatsuhashi by Kourin Ogata which you can find at the Met Museum, NY. 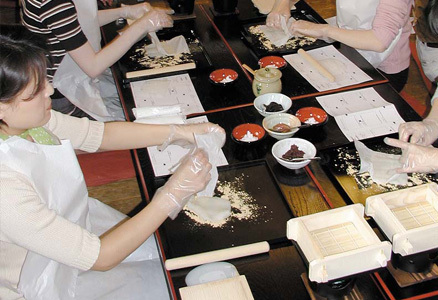 The mochi is usually flavoured with cinnamon ("nikki" in Japanese) and the filling is bean paste. 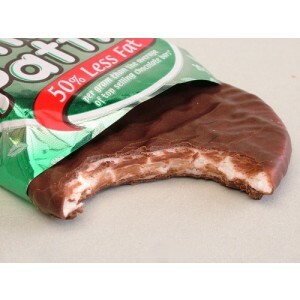 But recently, a whole raft of other flavours have hit the market, to entice a younger customer. You can also get chocolate, matcha tea, sakura in spring and even choco banana for the many school kids who flock to Kyoto. 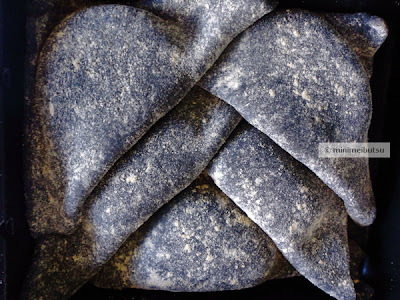 But my favourite is black sesame, which is sweet but nutty (and I heard it achieves its strong colour from the addition of bamboo charcoal). When you remove the outer paper, you find the store name embossed on the box. You can buy yatsuhashi all over Kyoto, but my favourite shop (which you'll also find all over Kyoto and at Kyoto station), is Otabe. They've been making these little treats for over 200 years. At the branch near Nishiki koji market (another must-visit in Kyoto), you can also make your own sweets in a little workshop above the shop. At Y600, it's about the same price as a box of yatsuhashi, but you have the satisfaction of making it yourself. I am such a sucker for a pretty package. At least, when it comes to omiyage, what's inside is usually pretty good, too. 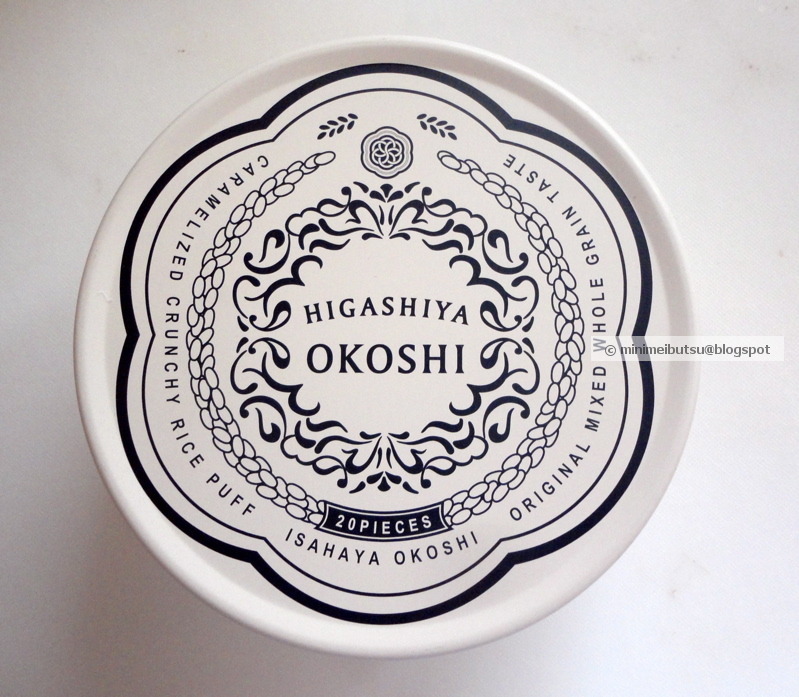 I've noticed quite a lot of omiyage packaging has gone kind of Taisho-era recently. I remember years ago in Sydney, I saw an exhibition called "Taisho Chic" or something. It was all about the Moga - Modern Girls - with Louise Brooks style bobs, who smoked cigarettes, went to cafes and listened to Jazz. 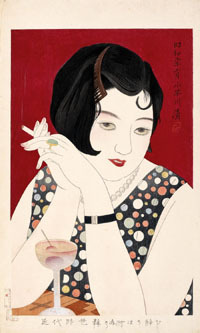 Yes, Japan had flappers too. Like England's Edwardian era, Taisho was quite short (1912 - 1926), but it was a time of creativity and democracy, which unfortunately got taken over by militarism and... well, a lot of big problems that are still festering today. Anyway, what's important here, is that it inspired some lovely Deco style design. Sometimes, you can still find examples Taisho-era architecture, though they're rare. Kawagoe has a nice mix of Meiji-style, Taisho and early Showa buildings. Tokyo's Imperial Hotel, by Frank Lloyd Wright, even survived (but was damaged in) the Great Kanto Earthquake of 1923 and WWII. Part of it has now been reassembled in Meiji Mura near Nagoya. I hope I can see it there one day. 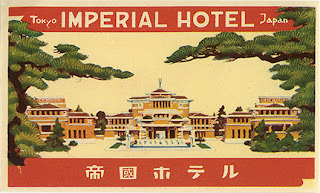 The Old Imperial Bar in Tokyo, while not original, is in the style of the time. 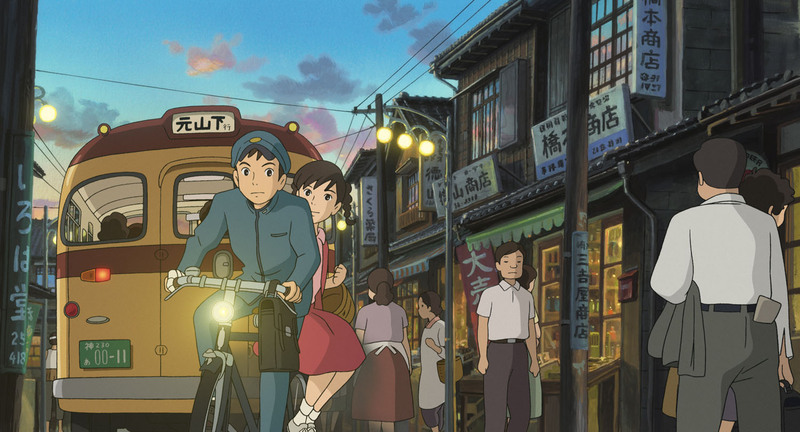 I'm always on the lookout for Taisho-era or at least Taisho-style places. Ok, so on to the food! 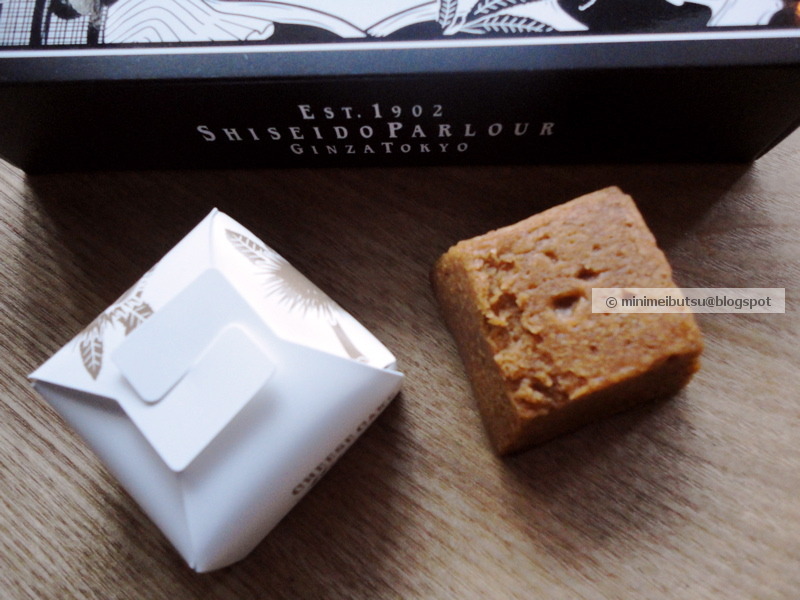 First up, Shiseido Parlour. Originally a soda fountain attached to the Shiseido Pharmacy in 1902, it became a cafe and purveyor of sweets and oddly, one of the first places to serve western-style dishes like croquettes (korroke). So it's 110 years old this year - as good an excuse as any to visit. The famous cinnabar red building in Ginza houses the sweets on the ground floor, and a cafe, restaurant and function spaces upstairs. Must have been a very expensive printing job - you can't really see here, but it's a mix of matte and gloss black, plus metallic. Three little boxes inside and three exquisite cheese cakes. Next, the beautiful simplicity of Higashiya. If you've been to the Higashiya cafe in Ginza (in the Pola Building), you'll know they make an art form of simplicity. 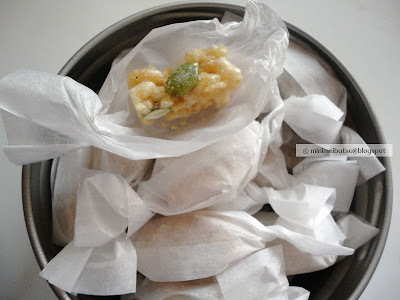 Very simple - the most delicious shiomusubi (all I could afford that day, actually!) and some yuzu green tea. If you can't get to their cafe, try "Higashiyaman" in Aoyama - just around the corner from Issey Miyake - and you can get fresh sweets to take away. This tin, in black and white, mirrors the brand's logo. Inside, you'll find delicate, crispy rice treats called okoshi. These ones are flavoured with ginger. It's the kind of tin you'll keep for a long time after the sweets are finished. Next, we detour to Hokkaido on our packaging tour, and a little earlier - to the Meiji era. I had heard of the Sapporo Agricultural College before - apparently in the 1880s they had one of the most successful English programs, using language immersion. It became Hokkaido University in 1918, but the Agricultural part still functions as a faculty. And they make amazing cookies! These are light, crispy, buttery shortbread cookies. Well, actually, they don't make the cookies themselves. 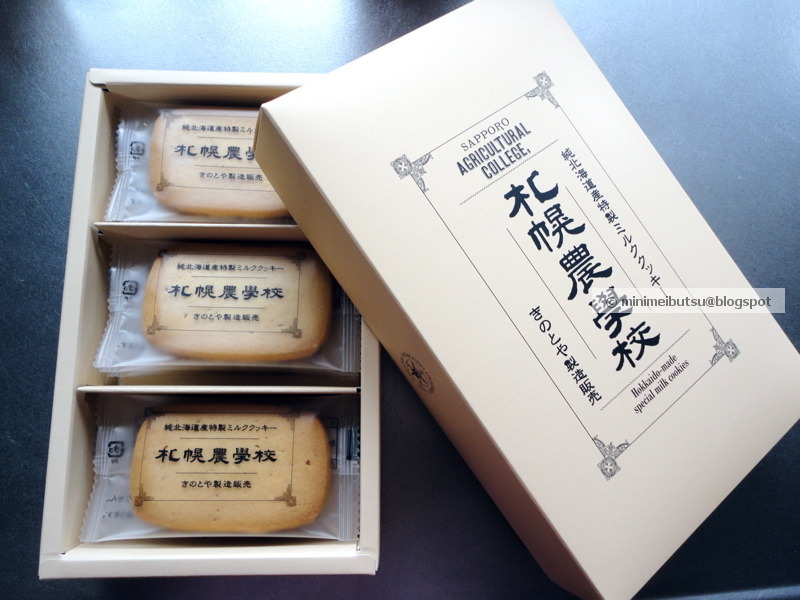 A Sapporo sweets company called Kinotoya make these "just like grandma's but fancier" cookies, for the university. They started making them in 2005, and inside the box, you'll find the phrase "Boys be ambitious" (nearly typed ambiguous, which might be more appropriate these days). It's the famous catch phrase of 1880s Hokkaido University professor Dr William Clark. It's nice to know that some of the profits from the cookies will go to the university's greenery program. 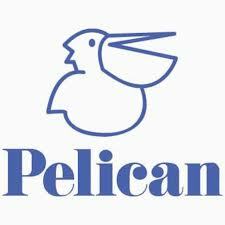 Retro design, based on the original logo of the University. And finally, something quite new, but in the spirit of the era. This is another limited seasonal design, using a motif of ginko leaves. 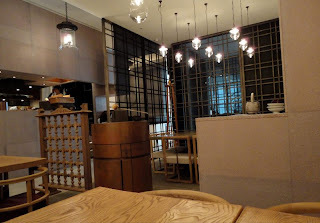 Wa.bi.sa is an offshoot of confectioner Yoku Moku (you have to visit their amazing "Blue Brick Lounge" in Aoyama - not just sweets! It's very ladies-who-lunch). Anyway, the company is famous for its light, European-style chocolates and biscuits. But what's interesting in a random way, is the name Yoku Moku comes from the Swedish town of Jokkmokk in northern Sweden. Wa.bi.sa (from wabisabi meaning refinement and simplicity in that very zen Japanese way), is their younger, funkier brand, combining traditional Japanese flavours with modern design. 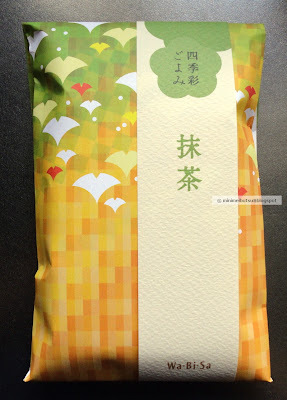 I like the transitions of colours on this package, with stylised ginko leaves. 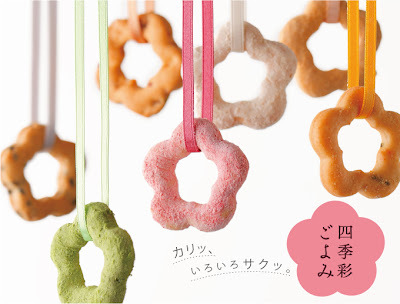 Inside, the cookies - a kind of 'karinto' or fried cookie - are green tea flavour and shaped like sakura flowers. This is what the cookies inside look like - minus the ribbons.